NORTHERN Ireland's most senior judge is being pressed by lawyers representing bereaved families to take further action to deal with delays in the Coroners Service. The Lord Chief Justice Sir Declan Morgan has been asked to appoint new coroners in inquests that have been delayed as a result of ongoing sick leave within the Coroners Service. Belfast-based solicitor Pádraig Ó Muirigh wrote to the Lord Chief Justice and the Coroners Service asking that they intervene in nearly 30 delayed cases because of concerns that the lack of coroner availability was “hampering progress”. But the deaths include not only loss of life from the Troubles but also other more recent tragedies, including a high profile test case related to the death of a stillborn baby. Two out of Northern Ireland’s three coroners are currently on sick leave with the third, the senior coroner John Leckey, due to retire next month. A spokesperson for the Lord Chief Justice’s office confirmed to The Detail that a county court judge had recently been assigned to oversee a number of high profile inquest cases to help with delays. These cases include the murder of 10 Protestant men whose mini-bus was ambushed by the IRA in Kingsmill County Armagh in 1976, as well as the case of murdered County Tyrone teenager Arlene Arkinson who disappeared in 1994. The Northern Ireland Court Service confirmed that earlier this month the Justice Minister David Ford, whose department has responsibility for the Coroners Service, asked the Lord Chief Justice to appoint a judge to act as a temporary coroner during the periods of sick absence. A spokesperson for the court service said this process was already underway and that a county court judge had “recently been appointed to assist with workload in the Coroners Service”. However, as delays in other cases continue, bereaved families are now stepping up pressure for more action. Speaking to The Detail Mr Ó Muirigh said the absence of coroners had led to the adjournment of several inquests in recent months. He said: “We still see systemic delays in the progress of many inquests. In fact it can be argued that the situation has been exacerbated by the failure to appoint a new senior coroner in a timely fashion and the absence of other coroners through illness. Mr Ó Muirigh’s clients include the families of 10 people shot dead by paratroopers over a three-day period in the Ballymurphy area of west Belfast in 1971. 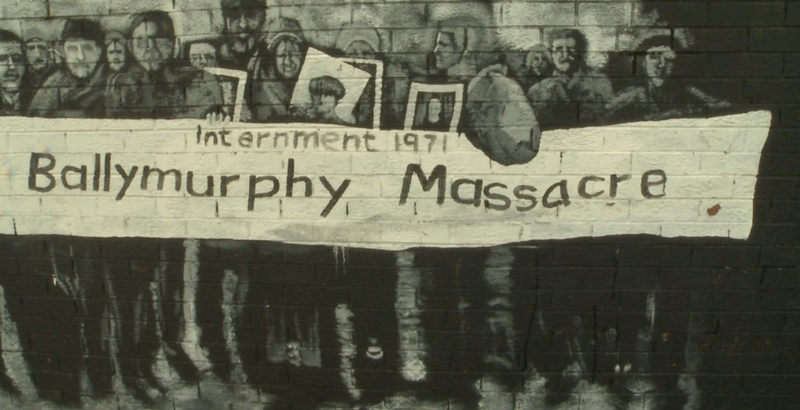 Those killed during what is referred to as the Ballymurphy Massacre have only had preliminary hearings to date. Mr Ó Muirigh has also written directly to the Coroners Service to raise concerns about inquest delays in a number of non-legacy deaths, including the death of a baby boy Axel Desmond who was stillborn in Altnagelvin Hospital in 2001. Axel’s inquest was a result of a landmark court of appeal decision from November 2013 that set a new precedent by ruling that a coroner could hold an inquest into a stillbirth. There has not yet been a preliminary hearing for Axel Desmond’s inquest. There are now 55 legacy inquests relating to 96 deaths being dealt with by the Northern Ireland Coroners Service. The Detail also reports today on a previously unpublished Department of Justice document that says it will take up to 12 years to deal with the current backlog of legacy inquests linked to the Troubles in Northern Ireland. Mr Ó Muirigh’s law firm represents a number of legacy-related deaths that are currently stalled in the inquest system, with some dating back to over 40 years ago. However the Belfast law firm is also dealing with a number non-legacy deaths, including the death of a baby boy Axel Desmond. An inquest was only directed into Axel Desmond’s death after intervention from Northern Ireland’s Attorney General John Larkin QC. Axel’s mother Siobhan Desmond says she has waited long enough. She said: “It’s been 14 years since Axel’s death and two years since the court of appeal decision. Since then nothing appears to have happened. 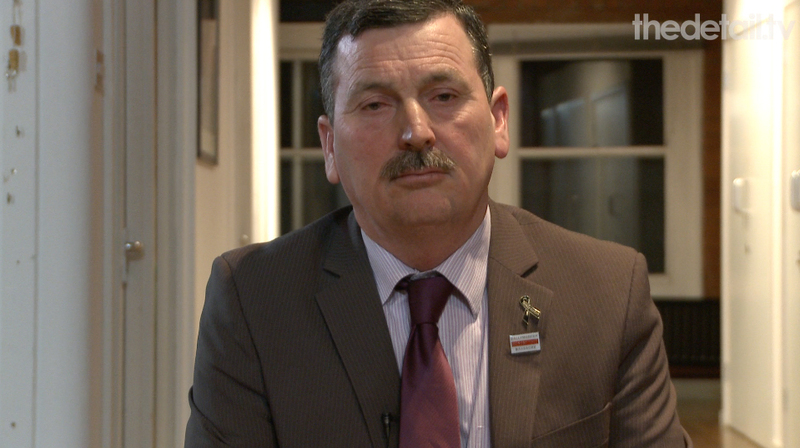 “I understand that there are issues around workload and availability of coroners, but that doesn’t mean to say that things have stopped or frozen in time, there are still people dying, there are still cases that need to be heard. In the latest letter sent to the Coroners Service Mr Ó Muirigh has asked that a preliminary hearing is convened in Axel’s inquest as well as an update on “what progress has been made towards the holding of the inquest since the date of the Attorney’s direction”. In recent years The Detail has covered a number of healthcare cases that have been directed to inquest after intervention from Northern Ireland’s Attorney General. Fifteen-year-old Christopher Coulter from Hillsborough died just days after receiving a combined Measles and Rubella vaccination in 1994. The Detail first reported on Christopher’s case in March 2011. After examining the case in 2012, Attorney General John Larkin QC ordered that a second inquest must be held into the teenager’s death. Last year The Detail also reported on the case of 61-year-old Alfie Hannaway from west Belfast who had been on the blood thinning drug warfarin after a major heart operation at the Royal Victoria Hospital. He died of a brain haemorrhage after being re-admitted to the hospital three weeks after his surgery in September 2013. In August last year the Attorney General intervened and directed an inquest into Mr Hannaway’s death. Several letters recently sent by Mr Ó Muirigh’s law firm asking for intervention from the Lord Chief Justice relate to a number of deaths at various stages in the inquest process, including the Ballymurphy killings. In 2011 the Attorney General directed that inquests should be held into ten people shot dead by British soldiers in the Ballymurphy area of west Belfast in 1971. Daniel Teggart died after being shot 14 times by the paratroopers. The inquest into his death is included in the batch of Ballymurphy cases being raised with the Lord Chief Justice. His son John said the inquest delays are causing further pain to bereaved families. He said: “It’s been forty years of searching for answers, but when the Attorney General directed inquests into the Ballymurphy Massacre deaths we never thought there would be more delay. It’s been an uphill struggle. “We are still at preliminary hearing stage. The last hearing was over six months ago and we don’t know when the next one is going to be. Staffing problems in the coroners service can only mean more delay and pain for bereaved families." In recent years the Ballymurphy families have also been campaigning for an inquiry similar to the model used to examine the Hillsborough football disaster of 1989 which would review all documents relating to the deaths of their loved ones. However as reported by The Detail in April last year, the British Government rejected calls for the independent probe into the deaths. John Teggart believes an independent panel could complement the inquest process. He said: “In all the Ballymurphy inquest cases there are still issues around the disclosure of documents from the Ministry of Defence. Until that is resolved the inquests cannot get underway.